TransCen, Inc. is a non-profit organization dedicated to improving education and employment success of youth and young adults with disabilities. Their work is driven by the belief that employment and active community participation are attainable for all individuals, regardless of disability or other perceived barriers to employment. TransCen's mission is to improve the lives of people with disabilities through meaningful work and community inclusion. TransCen's vision is to redefine transition from school to work and disability employment through strong business and community partnerships, tailored training, and field-based research. Their work is driven by the belief that there is a job for everyone who wants one, regardless of the nature of their disability, or other barriers to employment, their need for workplace support and accommodation, or economic circumstance. Laura A. Owens, Ph.D., CESP, has over 30 years of experience as a national leader in the disability employment field. 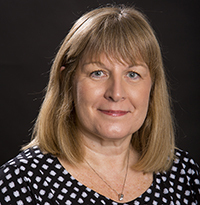 She is currently the President of TransCen, Inc. (TCI) and a Professor at the University of Wisconsin - Milwaukee (UWM) in the department of Teaching and Learning. Laura founded Creative Employment Opportunities, Inc. (CEO) in Milwaukee, Wisconsin, an employment agency for individuals with disabilities in 1991 (now part of TransCen) and ArtWorks for Milwaukee, a non-profit jobs-training program in the arts for youth with and without disabilities in 2001. 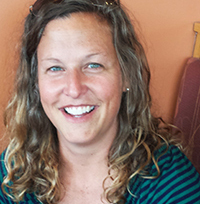 At UWM, she teaches courses focusing on high school inclusion and transition from school to work, and coordinates the graduate Transition Certificate program. She served as the Executive Director of APSE, a national organization focusing on the advancement of integrated employment for citizens with disabilities based Washington, DC from 2008-2014. Laura is an internationally known speaker and has published widely on transition and employment topics. VCU in partnership with TransCen, Inc., has a study site in Milwaukee, Wisconsin at Creative Employment Opportunities (CEO). CEO was founded by Laura Owens with the belief that all individuals, regardless of their disability, can and should work in the community. CEO provides high quality, individualized services that are customized to meet the needs of each customer (business and job seekers with disabilities). Their goal is to provide each customer with a resource that can assist them in all aspects of employment. Mary Ann has been involved in public education for over 30 years as an elementary teacher, high school special education teacher, transition specialist and Director of Student Services. 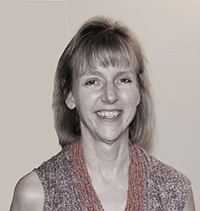 Mary Ann has a Bachelor's of Science in Education and a Master's and Ph.D. focusing on transition and leadership. Currently she works for Creative Employment Opportunities, teaches at University of Wisconsin - Milwaukee while consulting with districts to help bridge the disconnect between the K-12 system and adult system in regards to services for individuals with disabilities. 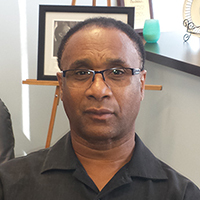 Dwight has been an employment specialist for approximately 17 years. Dwight works closely with the individual, co-workers, managers, and family members in order to provide quality services based on each job seeker's strengths and needs. He has joined the CEO staff on the Customized Employment Study assisting transition-age youth in gaining meaningful community integrated employment..
Jenny Lichte, is a former Special Education teacher who made her transition to the adult world to assist adults with disabilities in finding and maintaining employment. Her goal is to guide, and support adults with disabilities to find their meaningful place in their communities.